Wait, what?! 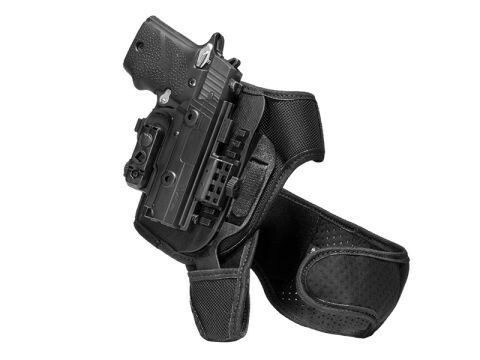 An M&P40 ankle holster? For a full-size gun, with a 4.25-inch barrel and everything? Yes we can, we have done, and you can too. Some people prefer to wrap their spare magazines in another pistol and an ankle holster for M&P40 pistols will let you deep-conceal a whole lot of firepower. 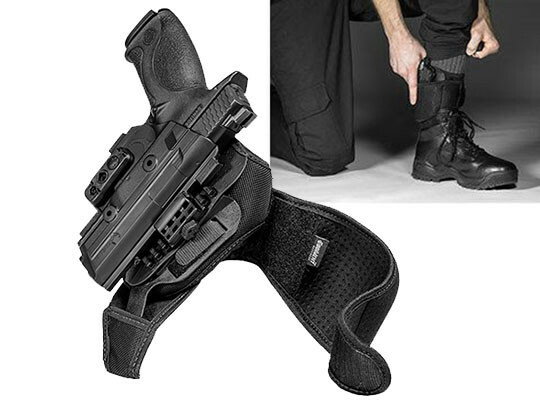 However, carrying this pistol on the ankle requires the right M&P 40 ankle carry holster, or else it's just not going to work. However, that is exactly the kind of holster to do it with. 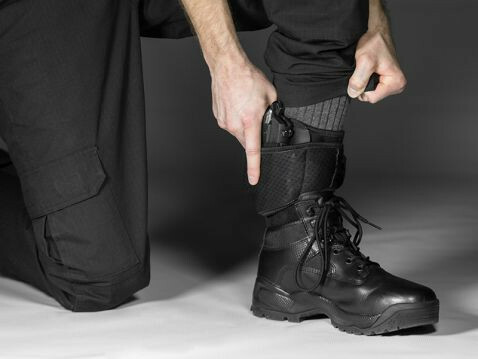 First, you need an ankle holster that's stable and strong enough to carry a larger handgun. 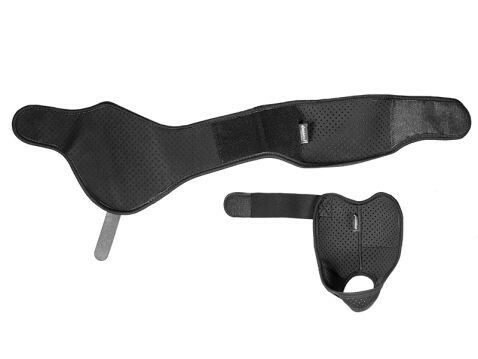 This ankle holster has a two-piece strap, securing at the heel and at the ankle. 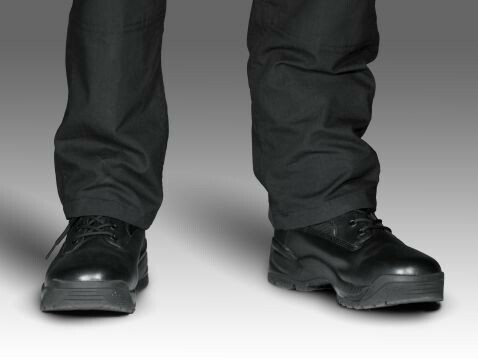 The ankle strap docks with the heel loop via a durable polymer insert and once fully secured to the foot and ankle, this holster doesn't move. Your gun stays where its placed. 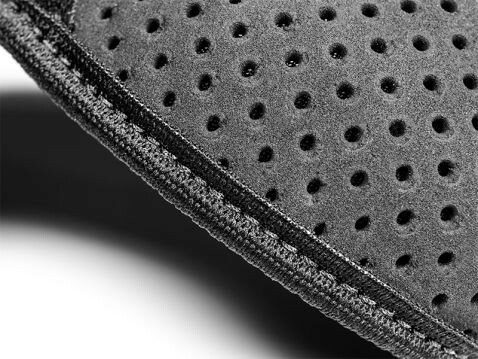 The strapping itself is our Cool Vent perforated neoprene, wicking away moisture and breathing against the skin. Forget the chafing and heat from other materials; carry comfortably for hours on end, day after day. The ride height is also adjustable, allowing you to set the perfect carry position. Never worry about the fit or retention. 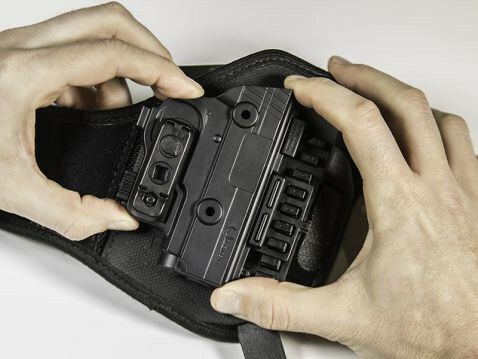 The holster is the Alien Gear ShapeShift shell system, with a full outer shell and trigger guard shell attached, fully wrapping the trigger guard. That gives you more and better security than any other design. You also get the peace of mind knowing the holster is custom-molded for your gun, with fully adjustable retention. 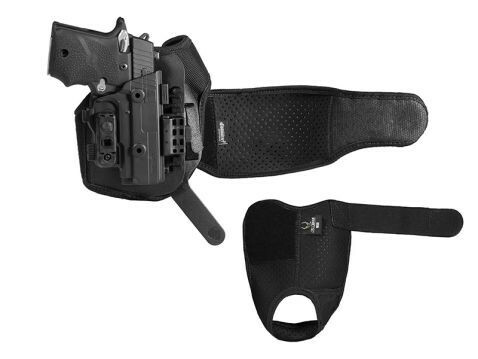 Wondering if this holster really delivers? Take it for a Test Drive. Part of our Iron-Clad Guarantee is a 30 Day Test Drive trial period after purchase; we'll buy the holster back in that time if you aren't convinced. We also warranty the holster for life against all defects or damages.